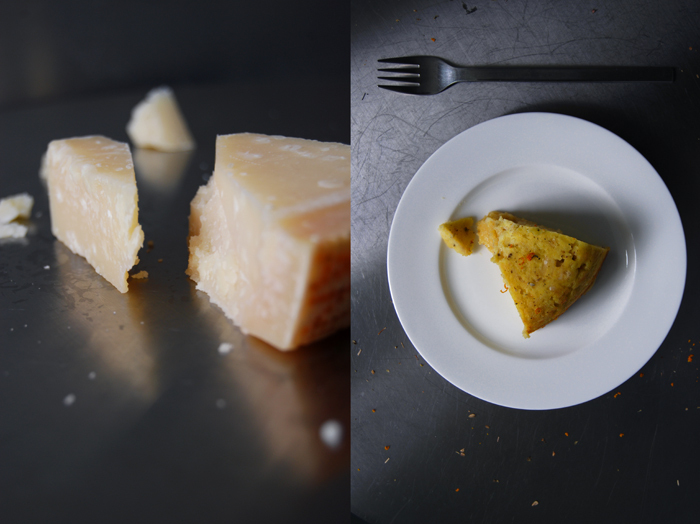 I ate my first gattò di patate a couple years ago in Sicily, a rich potato pie flavoured with Parmesan and herbs. It’s a simple dish, as comforting as a nice bowl of pasta savored on the sofa. I liked it so much that I had to try it in my kitchen when I was back home. 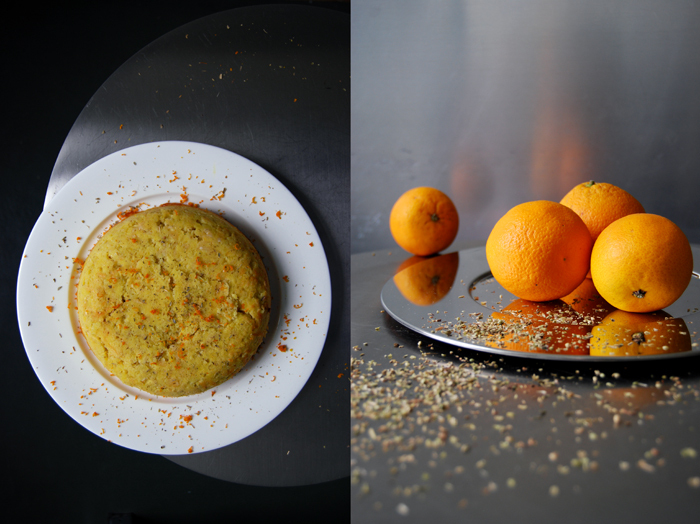 Some fill it with minced meat or Mozzarella but mine is a celebration of my favourite Sicilian ingredients, orange and oregano. I first encountered this aromatic combination together with a little olive oil and sea salt, as a refreshing breakfast salad during a holiday on a picturesque farm in Noto. This duo is so good that I’ve used it in quite a few dishes since then, always with satisfying results! 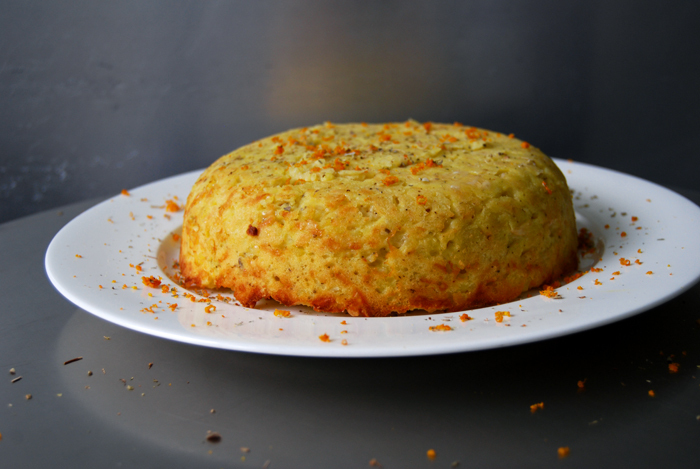 This pie is another example of the French influence on Sicilian cooking, the name for the Italian dish gattò di patate comes from the French gateau (meaning cake). 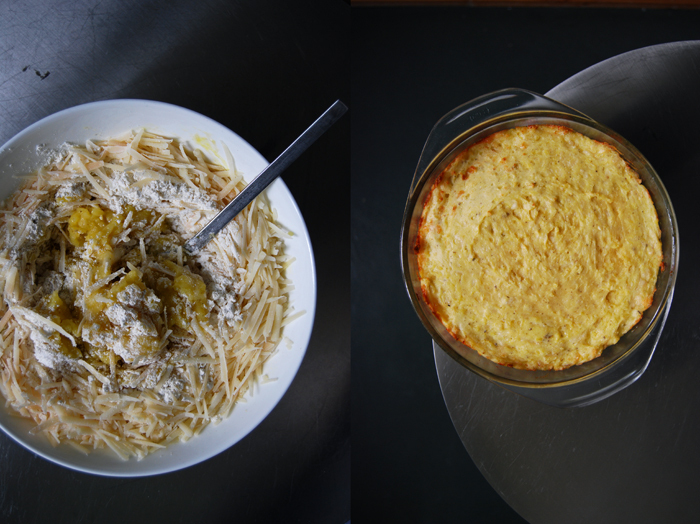 When I shared my Sfincione recipe with you a couple weeks ago I mentioned that there was a big French movement in Sicilian kitchens in the beginning of the 18th century, very often evident by the generous use of eggs and butter. Today’s pie follows this rule as well, eggs, butter, flour, parmesan and spices turn simple mashed potatoes into a savory cake. You can eat it as a primo piatto, thinly sliced as it’s so rich, or as a main on a cosy night. Set the oven to 180°C / 355°F and butter a 20cm / 8″ baking dish or springform pan. Press the warm potatoes through a ricer and mix with the butter, cheese, eggs and spices. Put in the baking dish, even it out and bake for 45 minutes until the pie is cooked through and the centre is set. Let the pie cool for 5-10 minutes before you turn it around (or take it out of the springform pan). Sprinkle with oregano and orange zest and serve warm.